It's football. Players get hurt. Have a good backupu. Could Babineaux move back to DT? I think they can do it. It's the proper way to tackle anyway. If they don't, they'll be gone. Roster-churn is word you are going to hear a lot of . oh and last one before you go....rugby tackling. Think they can pick it up easily or will it take some time? Cunningham covered that -- which linemen fit and which don't -- in this blog. With the zone scheme who do you see them cutting/keeping on the offensive line and do they draft a o-line in the first 4 picks this year? A lot. Watch for Houston, Morgan, JPP and Orakpo. Dled how much money do you think we spend in free agency and who would think would be a top target, I think Orakpo out of Washington but he is coming off two years of injuries? A lot. The salary cap has been set yet. These off season salary cap people are getting out of control. He can play. Don't cut the guys who can play. What type of cost savings to the cap would the team realize if William Moore was let go ? Smitth and Nolan. They were hoping to re-create the Baltimore and Jacksonville defenses. In Baltimore they had Sam Adams and Tony Siragusa. In Jac, it was John Henderson and Stroud. But they had better linebacker and ends in those places. The bigs drew the double teams, but the other guys couldn't get to the ball. I've heard Smitty wanted two interior linemen(Solai and Jackson) instead of a pass rush, so that they could stop the run. Could that be one of the reasons he was let go? I'm going to take the over on that. I'm going with 6 or 7. That was the 32nd ranked defense. LAST PLACE. The unit needs to be over-hauled. Only cornerback Desmon Trufant and a healthy William Moore are safe. A lot more running!!! Which I like. Not too much uptempo. The Falcons are going to return to playing REAL FOOTBALL. It doesn't really matter what pace you keep, if the line can't block. It'd be nice to see them pass protect and open up holes on a consistent basis. 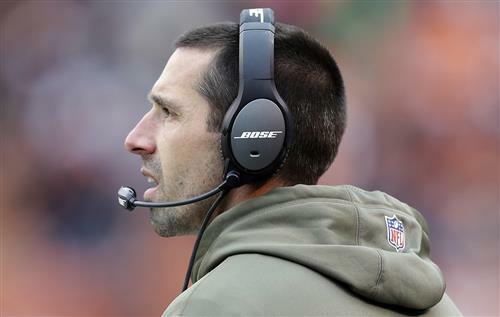 Do you expect to see a different offense under Shanahan? More up-tempo, which seems to bring out Ryan's strengths. Michael Carvell of our staff reported that Ulbrich told the Smith kid he was staying at UCLA. We asked for a comment and the Falcons, who try to control all of their coaches' interviews, declined to make him available. I'm sure the coach wants to address the situation. We're left to believe that he did in fact lie to the kid. Why hasn't LB coach Jeff Ulbrich addressed whether he lied to Roquan Smith? Was he trying to help Georgia? That would be awesome. He can play football and they need football players. He is a bit off his rocker, though. Do you think the Birds may go after Greg Hardy? He would bring some needed "nasty" to the team!! No, his stuff was super!!! You can only make so much lemonade. Not sure they were given much to work with. We'll see if they start cutting players. Pay attention to who gets picked up and who's out of the league. Why that took Holmes in the third round is still one of the great mysteries of recent drafts. They clearly thought they could make him a player. But they didn't have to take him in the third round. 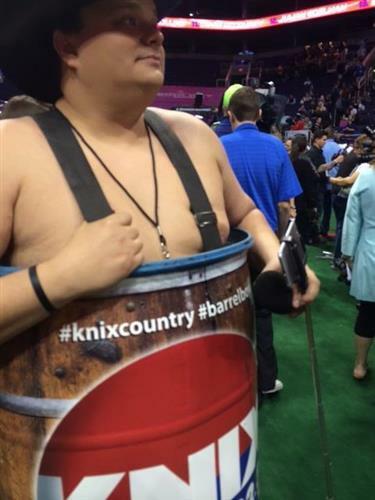 Media Day at the Super Bowl is fun. It isn't bigger at this point. It's actually a little smaller. If we can get two No. 1's for Julio, should we do it? Remember: he's been hurt a lot. Thanks everyone. We have a big Scott Pioli story coming up in the Sunday paper. We look at his drafts. He's a 3-4 guy. Not sure who he's brining. If rex ryan is hire by the falcons who should he bring in as oc and dc? Is the defense will be in a 3-4 or 4-3 base next season? They's room for a big play receiver in any offense. It means nothing. They may need his money for something else. They may have to get a kicker on the cheap. Matt Bryant will become an UFA. Will they bring him back? He was arguably our best player last year. I understand that. But I think people can afford what they want to afford. Life is a bunch of choices. "You're not a real fan" isn't a fair statement. Most average fans cannot afford the outrageous PSL prices. We'll have to track that. I talk to folks in K.C. and his drafts and TD's draft look the same. They hit up high, but get nothing after the third round. His best pick was Justin Houston in the third round. Now that Pioli, for all intents and purposes, is running the draft, what are some of the key differences we can see in the way he manages the draft vs. Dimitroff? Needless to say, I'm not aligned with Mr. Blank's decision. I've heard from agents and most players in the league want to come to Atlanta or Miami. That's not a problem. Have you heard of any FAs who openly want to come to ATL? He's taken himself out of coaching searches to concentrate on the playoffs. He's a different dude.